Three hours that shook Menemsha. In the hours before Hurricane Bob made landfall 25 years ago Friday, Islanders stocked up on ice and batteries, secured their boats and turned on their radios. Businesses boarded up windows, police officers knocked on doors in low-lying areas, and some 1,500 people poured into shelters across the Island. 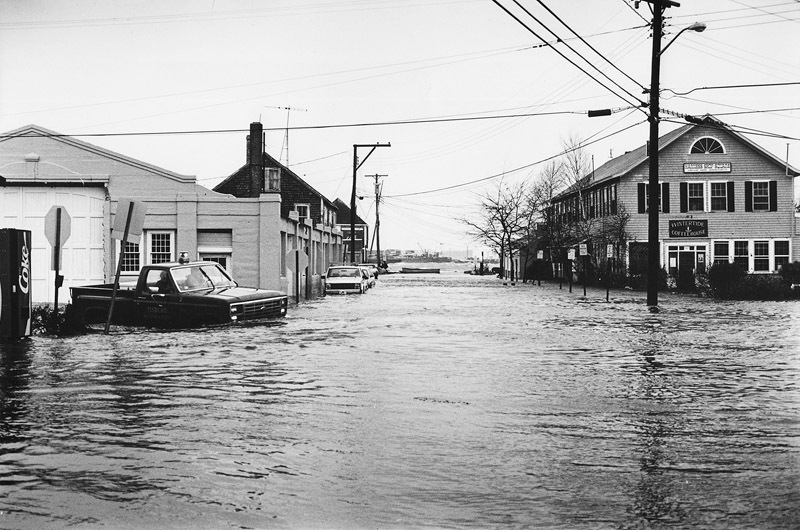 It was the earliest hurricane in New England history and the second most expensive, after Hurricane Hugo two years earlier. It was also long overdue. 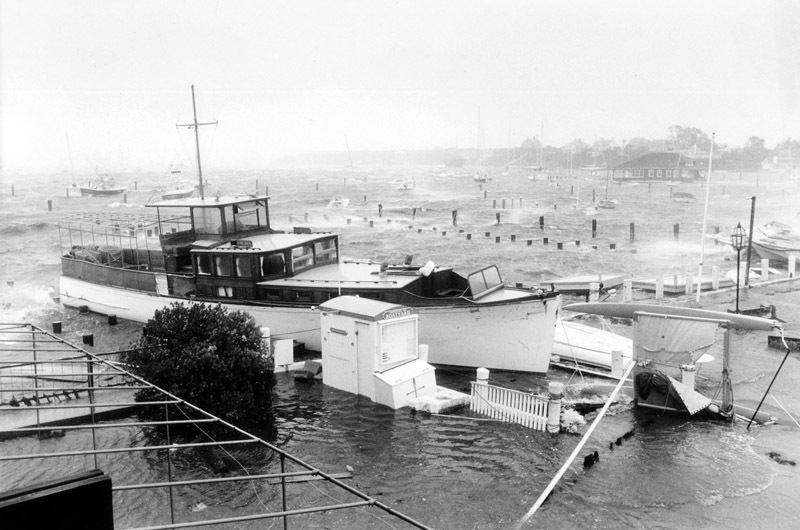 Prior to a narrow brush with Hurricane Gloria in 1985, the Vineyard hadn’t received a direct hit since Hurricane Donna in 1960. And even that storm didn’t bring the kind of destruction that hurricanes Carol and Edna did in the summer of 1954. By mid-afternoon the next day, the sun was out and crowds of people were assessing the damage. 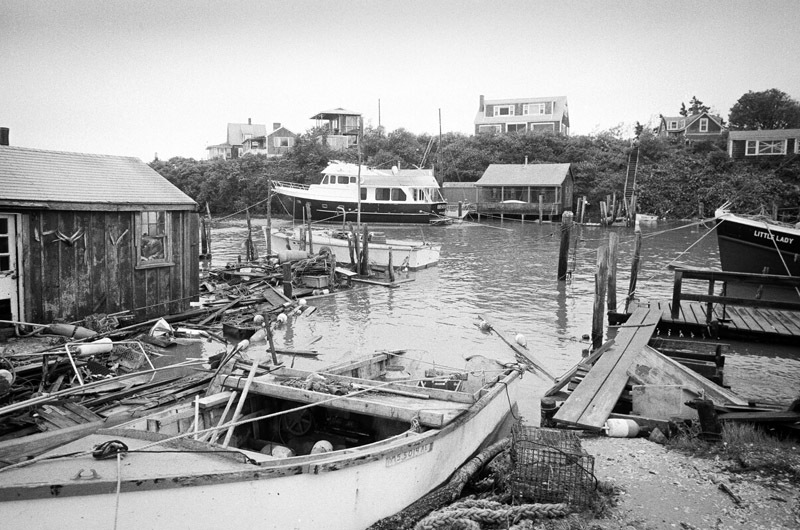 Edgartown Harbor lay in shambles, with 84 vessels beached, sunk or capsized. Ponds were torn open to the sea along the south shore, and roads from Chappaquiddick to Gay Head were littered with branches and wires. A few roofs were missing, and two feet of water lapped at the outside of the A&P in Vineyard Haven. But overall, the Island breathed a sigh of relief. A sloop owned by his sister ended up far away on the path to the Edgartown Lightouse, still tethered to its 4,000-pound block, which also sat on dry land. Mr. Blair recalled his elation at finding his towboat Nisa just where he had left it in the harbor, with only a small dent where it had been struck by another boat. Over the next two days, he joined the local effort in pulling the less fortunate boats from the beaches. 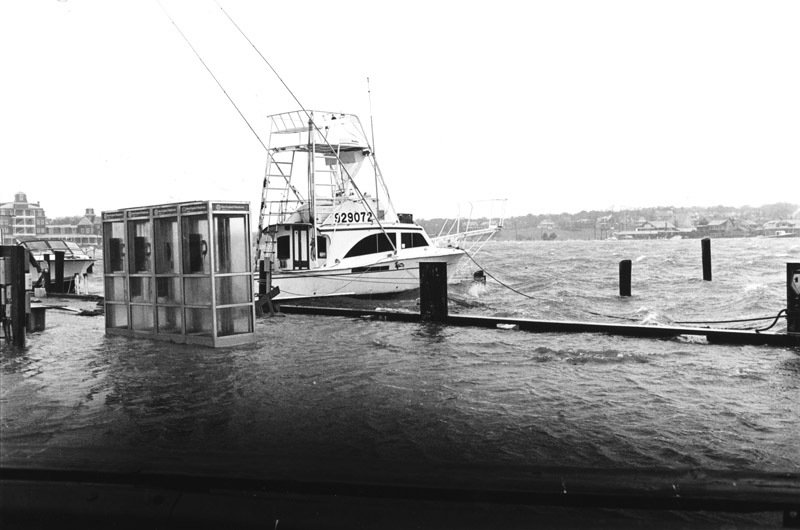 A seven-foot surge combined with an incoming tide had snapped or carried away many of the mooring lines (not everyone thought to extend their lines prior to the storm) and sent boats careening in all directions. The harbor was soon rebuilt, although a 10-foot minimum scope on the moorings remains in place today. The storm took even experienced captains by surprise, although the National Weather Service had been tracking it since the previous Friday. By Sunday, it had intensified to category three, based on its sustained wind speed, but was given only a 20 per cent chance of making landfall in the state. Preparations on the Island began in earnest Monday with announcements on local radion station WMVY and an early morning meeting among public safety officials. “This was a storm that got a name Friday around noon and was on our doorstep Monday morning,” said Robert Thompson, a National Weather Service meteorologist who helped track the storm’s approach. 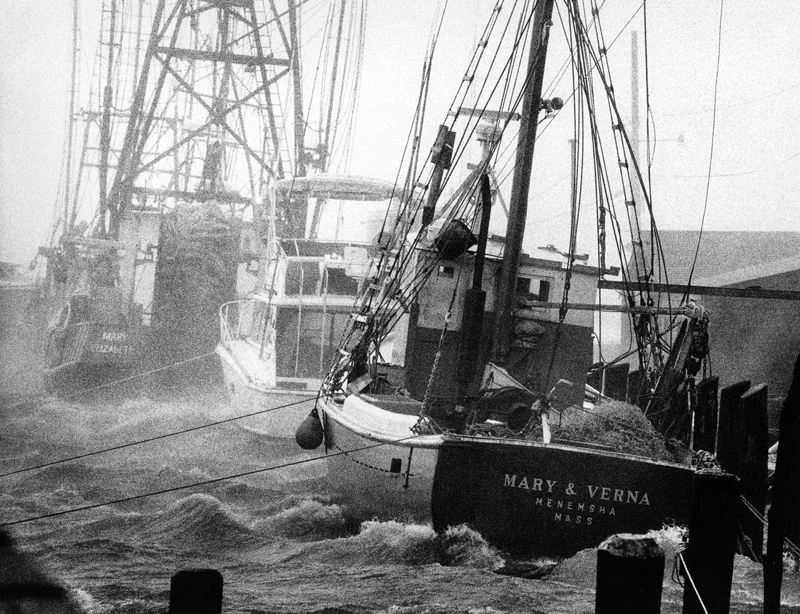 “So that gave us limited time to prepare.” By the time Bob made landfall in Newport, R.I., it had weakened to a category two storm, but the eye passed just east of the Vineyard, bringing severe winds and high seas. Very little rain fell during the storm (0.15 inches in Edgartown), but the damage from wind was evident everywhere. Many old-growth trees had come up at the roots, and major Island roads were blocked by a tangle of branches, poles and wires. Mytoi, the secluded Japanese garden on Chappaquiddick, including its towering black-pines, was swept bare, leading some to speculate the presence of a tornado or some kind of micro-burst. The storm brought down 2,400 power lines across the Island (four times as many as Hurricane Gloria), with Chilmark suffering much of the damage. Gay Head didn’t lose a single electric pole, but remained in the dark for about a week while line and tree crews from as far as Oklahoma helped restore the rest of the system. Cuttyhunk also fared well, with its power lines having been buried some time before. 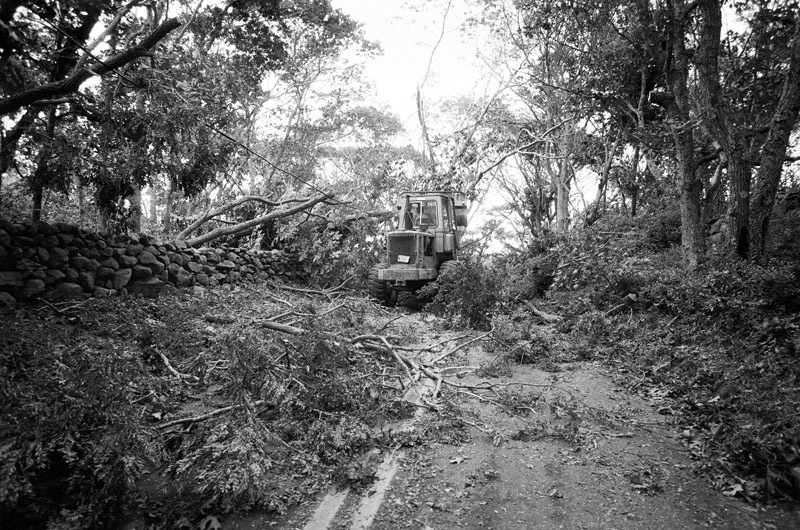 Trees were the main casualties across the Island. In the state forest, an estimated one million board feet of timber, mostly white pine, was felled by the heavy winds, leading to heightened concerns about forest fires in an exceptionally dry year. State budget cuts had limited the forest cleanup efforts, so trees and branches were simply thrown back into the woods. Eleven days after the storm, President George Bush declared the state a national disaster area, opening the door to millions of dollars in federal disaster aid. Many had taken a lesson from Hurricane Gloria and kept a detailed inventory of the damage so they could apply for the federal aid and be reimbursed. Early estimates placed the cost of the hurricane at around $5.5 million ($9.72 million in current dollars), including about $3.1 million ($5.48 million today) in private property damage. Statewide, the storm was valued at about $900 million ($1.59 billion today). Islanders relied on radio, television and newspapers for coverage and updates. and many remained glued to their TVs until power went out on Monday. One writer at the Gazette recalled the moment his TV blinked off and looking out his window to see $6,000 worth of landscaping fly away in the storm. For many, the storm was a wakeup call for an Island always at risk, if not always on guard. It was also the first major hurricane to come along since the Gazette transitioned to offset printing in 1975 — a process that made it much easier to print photographs and other content. With no power in Edgartown, a core production team flew to Nantucket to produce the Tuesday edition, which was devoted almost entirely to the storm. 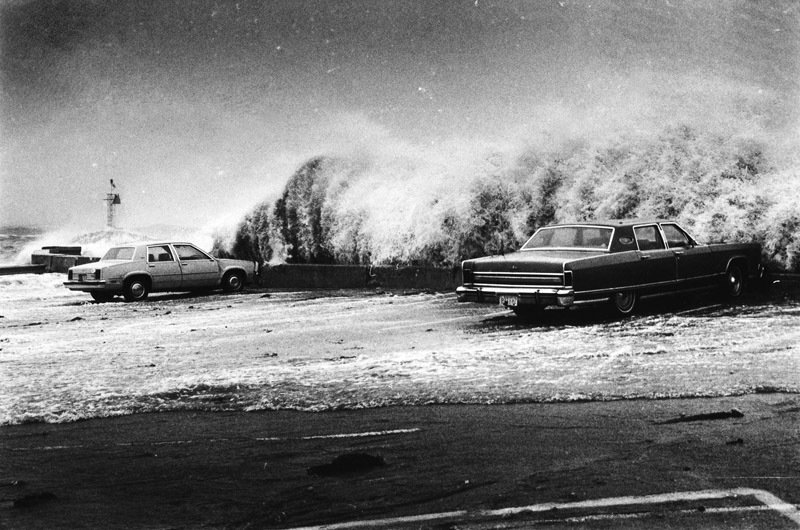 The paper’s coverage of Hurricane Bob was later nominated for a Pulitzer Prize. Printed overnight at the Inquirer and Mirror and flown back on two airplanes, the Hurricane Bob edition sold out almost immediately and was followed by a second edition once power was restored on Thursday. Photographer Alison Shaw, then director of graphics and design at the paper, recalled running with her negatives down the street to catch a ride to the airport on Tuesday, and working a triple shift that week to produce the two editions. She also recalled being stranded in Menemsha on the day of the storm, blocked in every direction by fallen debris. But the storm was just the beginning of Bob’s influence on the Island. Over the following weeks, thousands of people put in extra hours to clear roads, salvage boats and help the Island recover. The sound of chainsaws filled the air, trucks were piled high with brush and equipment, and advertisements appeared everywhere for companies doing yard cleanup and carpentry. The commotion left swarms of tree-dwelling bees in a foul mood, and Islanders often found themselves running for cover as they cleared brush or dropped off their garbage at the town landfills, all of which extended their hours after the storm. Grocery stores lost much of their perishable food, and many crops died or were blown away. But travel to and from the Island suffered only a small dip on the day of the storm, and in a few weeks Hurricane Bob was already becoming a memory. Perhaps the most lasting changes resulted from the pounding of waves and the lashing of salt spray along the south shore. Echoing the hurricanes of 1954, leaves from Edgartown to Gay Head turned brown (dried out from the salt and wind) and the Island experienced an early autumn when the leaves fell. “Six weeks later we had spring,” said Chris Murphy, who weathered the storm at his camp in Chilmark and recalled the new buds on many species that autumn. “Then it froze.” The normal cycle resumed the following year. Many south shore ponds, including Katama Bay, rose several feet during the surge and broke through to the sea — part of the natural process of shoreline change. Dunes all along the south shore disappeared, eventually to reform farther inland. Some barrier beaches moved back 300 feet or more. Edgartown shellfish constable Paul Bagnall recalled preparing ahead of time by freeing nearly all of his cultured quahaugs from their grow-out bags to give them a fighting chance against the storm. Otherwise, he said, they would have washed up on the shore along with the bags and perished. Many of the shellfish were affected by changes in circulation in the bay and stopped growing. Others made it through, despite being swept northward and covered by at least two feet of sand. 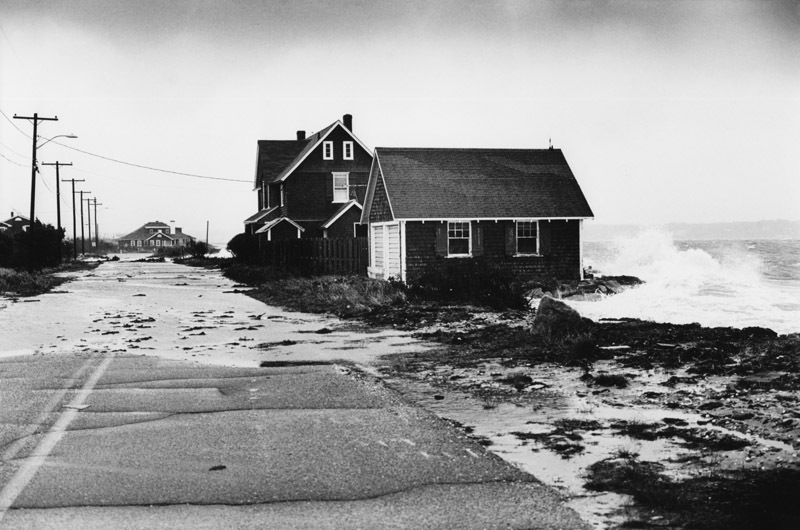 The north shore remained relatively stable, although a powerful Halloween northeaster later in the year (the subject of the 2000 film The Perfect Storm) battered the Island, causing severe damage between Edgartown and Tisbury. Curiously, the storm was at least as intense Hurricane Bob, but received considerably less attention. Ms. Shaw believed it may have been a matter of timing, with Bob arriving at the height of summer with more warning and a name of its own. “So there’s all that hype leading up to it,” she said. Some people this week played down the severity of Hurricane Bob, especially in light of hurricanes Carol and Edna, which lingered much longer and devastated the Island. A historic video and more photos from Hurricane Bob. What memories of Hurricane Bob. My wife and I had left the day before she for a meeting at BET in Washington, DC and me for a meeting in Los Angeles. We left hurricane prep of our home to our daughter and her friends staying at our house. One friend Stacey Ferguson was stung by a bee that was riled by the storm and fallen trees had to be removed from road to get her to the hospital. Stacey's father Joel later helped get Bill Clinton elected as President. And of course our daughter and her young friends just had to go to the beach in the midst of the storm despite our warnings from afar. But we all survived Hurricane Bob. Unfortunately, the reporting overlooked the most significant disaster of the hurricane: the death of young Princeton student, Priscilla Glickman, daughter of Donald and Gretchen Glickman on North Water Street and NYC. She was run over by a Town Dump Truck the next morning, stopped at the top of Pease Point Way, waiting to cross the street just above the Police Station. Priscilla, her fiancé of one day, her brother, sister and mother had just come back from South Beach to view the waves. The driver of the Town's dump truck had been working all night. RIP, dear Priscilla. My daughter was 10 weeks old and I recall the power was out for 7-10 days on Meeting House Way Edgartown. I walked out to the street which had no trees down for the width of our property after the brief rain and tremendous winds stopped. I was amazed at the smell of pine tar everywhere. I looked left and could not see more than one lot down, to the right was the same view. Meeting House Way was a forest of felled trees from Herring Creek to Slough Cove Road. We ladled garbage pails of our neighbor's swimming pool to flush the toilets. The electric pump on the well was cut off. We BBQ'd for cooking what we could keep in coolers, caught blues at South Beach and finally got to take a shower 7 days later at the Elementry School. We had 10 people in the house and soldiered on for more than a week. The most lasting memories were 2 pagoda trees hanging upright on the power lines in front of the Charlotte Inn and the yacht Miss Asia floating in the Harborside Hotel pool in Edgartown. I marveled during the storm hearing what I thought was thunder but more like explosions as trees were twisted and whipped to the point where their trunks exploded from the friction of the wind. Hence the smell of heated pine tar. We were an isolated community on an island before cellphone connectivity and the Internet. We all were one, no power cottages and mansions alike in our blue heaven. It was a moment in time much like when the cathedrals were white. I was in the second full summer of my WT summer house. I first heard the storm was coming on Sunday afternoon as I sat on my screened porch reading the Sunday paper, with WMVY on the radio. At that time island groceries (at least not the up-island, closest to me) were not open on Sundays after 3 PM, and it was after 3, so while I wanted to buy some batteries and food that didn't need refrigeration, I couldn't do so till the next morning. I got up early & probably bought the last D batteries on the island (had to search in several places)--at that time I had a radio that took D batteries. Now I have an emergency radio that one can handcrank if necessary, and it will also charge a cellphone, plus it uses double As. I recall clearly being in the checkout line at the up-island with many others & one guy holding up a package of cookies, saying cheerfully to all, "Pepperidge Farm, the official cookie of Hurricane Bob!" The sheriff ordered everyone off the roads by, I think, 11 AM, and I was home before then, taping windows with duct tape. I kept the radio on so I would know when the power was cut from the mainland, which was about half an hour before the storm actually hit. I sat in my living room for a while watching the storm but the bending trees around my house were too scary--I thought a limb might come crashing through a window-- so I retreated to the basement for the height of the storm. WMVY was great, stayed on the air playing wind music ("They call the wind Maria," "Blowin' in the Wind," eg) and telling everyone when the next news updates would be (say, in 20 mins) so you could turn your radio off to save batteries if you wanted to. When the storm was over I went out to assess the damage. Aside from a couple of shingles blown off the roof and the door to my outdoor shower, also blown off, and a couple of downed trees, my property was OK. In my part of WT power was restored in 24 hours so I did not have long without light or water, but it was long enough to get old. One downed tree blocked our road but a neighbor with a chain saw took care of that. I left just a couple of days later but left the key to my house with friends who still didn't have power so they could come to take showers & wash dishes at my place, which they did. When I returned in October to close up the house for the winter, I found all the leaves dead & brown. It could have been much worse, and was, for many others. So many great stories from Hurricane Bob. 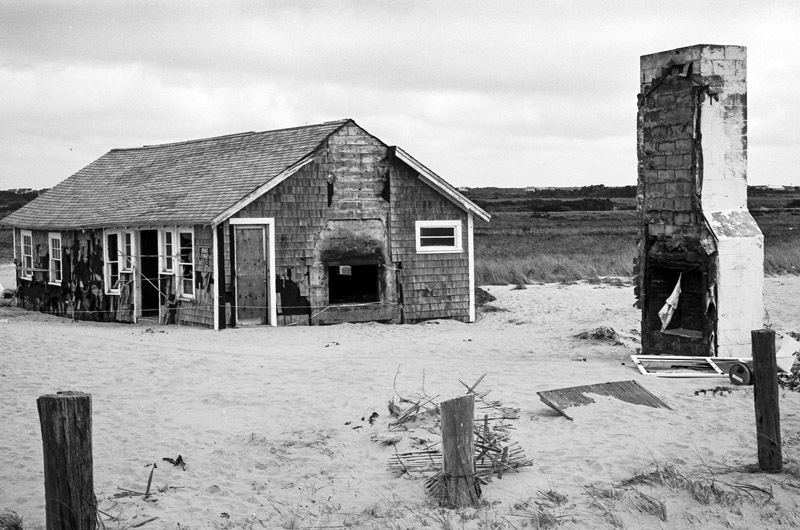 At the time, I was living on the Cape, working for the National Park Service at the Seashore. The eye of the hurricane passed directly over us in Welfleet/Truro (one of the most interesting phenomena I've ever experienced). In the aftermath, we at CCNS worked 12 hour shifts to clear roads and trails, restore the Park buildings and structures, and help Seashore neighbors get their lives back to normal. The memory that sticks with me the most, though, is that we at the Seashore got calls from all over the Cape, reporting the presence of injured, strange-looking birds. When we went to investigate these dozens of calls, we found frigate birds, long-tailed tropic birds, and other southern species of birds that had got caught up in the body of the hurricane and deposited on the Cape (another interesting phenomenon that occurs regularly with hurricanes). Besides the lack of electricity and damage, there is much that can be learned about experiencing these mighty storms. They are fascinating natural forces that actually serve a purpose on planet earth: to transfer energy from equatorial regions toward the poles. Part of nature's big plan! My father, James, took me on Zora to the opera house regatta. Nat recommend I be left with a family on Nantucket while my father helped sail a boat back to cow bay. I recall running outside and making forts inside. I was 11 at the time. It was a day or so till I was taken back to MV. Returning to my mothers in gay head I recall the long line at the spring on state road no electricity for a week! Any other local childern have stories?